My Scraproom: Reminder - Baby I'm Worth it! Just a quick reminder that if you are kicking around the idea of becoming a CTMH consultant now is a great time to sign up. To click the "Join My Team" tab that is at the top of this blog to get started. 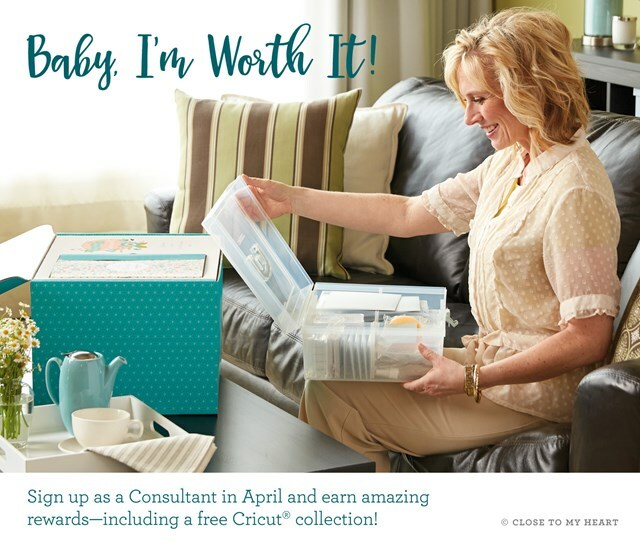 I have been a consultant for over 10 years and it is more than just getting a great discount on top of the line scrapbooking products. It is the friendships that I have made, the travel, the CTMH Sisterhood (and a few brothers) along with being able to teach how to persevere cherished family memories. I honestly can not imagine my life without CTMH being in it.